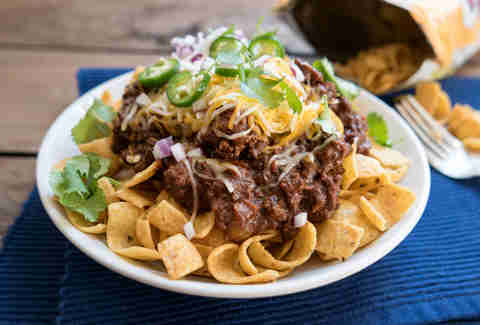 For half a decade of my life, I spent every Wednesday on the couch watching Friday Night Lights with a Frito pie. 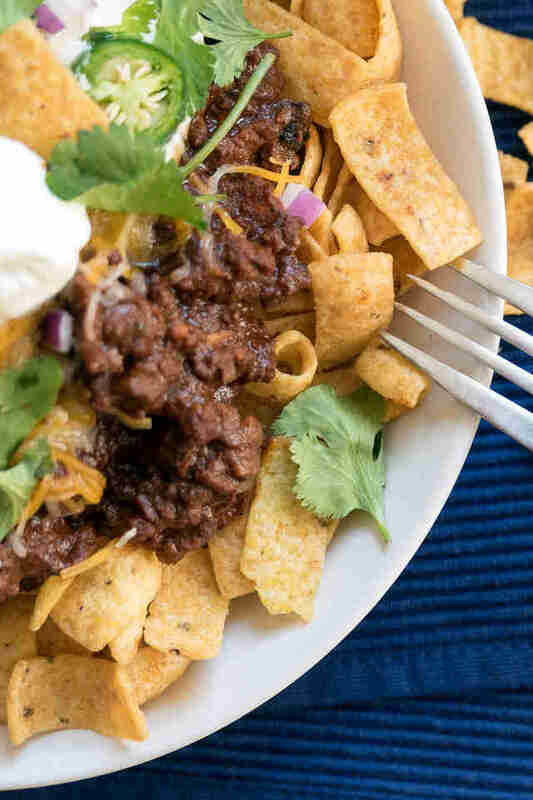 Specifically, my mole chili Frito pie, which combines dark chocolate, bitter stout, and aromatic spices with the ground beef. The salty crunch of corn chips pairs perfectly with the layered flavors, and it's completely satisfying whether you’re hosting playoff parties or just need a hump-day pick-me-up. Add beef to a large Dutch oven over medium-high heat, and cook until browned, about 10 minutes. Transfer beef to a bowl but leave grease in the pan. Return pan to heat, add onion; saute until browned and tender, about 15 minutes. Add garlic and cook until soft and lightly browned, about 5 minutes. Add cumin, chili powder, oregano, black pepper, paprika, Worcestershire, cayenne, and salt; stir for 1 minute. Add cooked beef, tomato puree, and stout; bring to a boil. Reduce heat to low and simmer, stirring occasionally, until thick, about 45 minutes. Turn off heat and stir in chocolate until well combined. 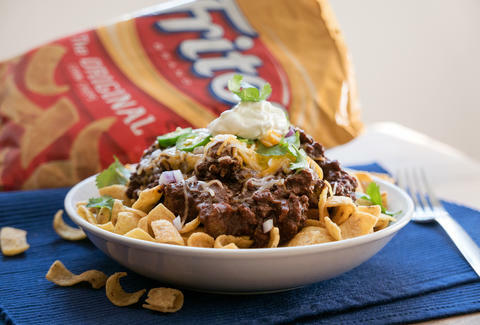 Divide chili among Fritos bags and garnish with toppings. Don't forget the spoons!